Once installed, the malware scans the SD card for certain file types such as image, document or video with extensions - jpeg, jpg, png, bmp, gif, pdf, doc, docx, txt, avi, mkv, 3gp, mp4 and encrypts them using AES in a separate thread in the background. 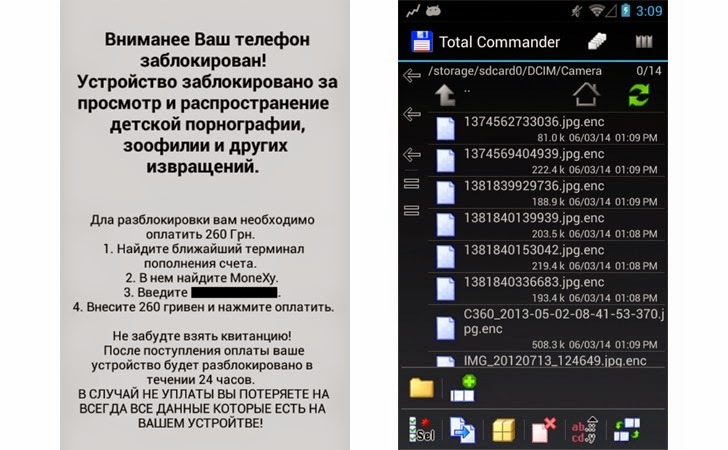 After encrypting the files, the malware displays the following ransom message, written in Russian, which clearly means that this threat is targeting Russian Android users. Unfortunately, mobile antivirus products are only capable to detect such known/detected threats only and can't detect similar the new threats. 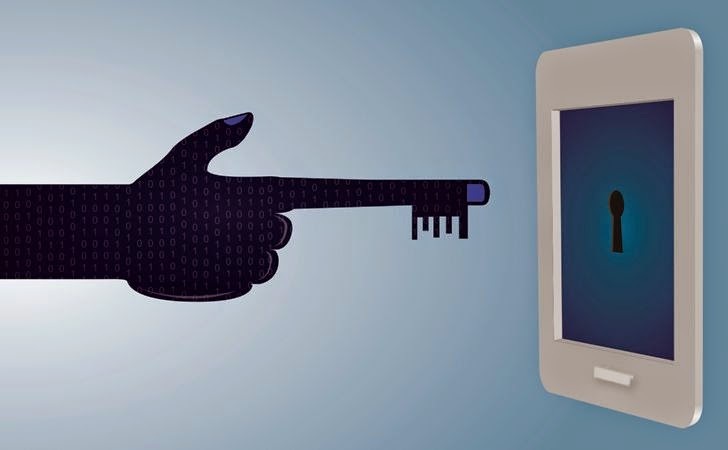 So, it is important for you to always keep the back-up of all your files either manually on the computer system or use cloud backup services like dropbox, google drive etc, in order to protect it from the emerging threats.